Karan Johar infamous dialogue in ‘Aye Dil Hai Mushkil’ raised many brows. At the same time it grew my curiosity to know more about the most popular singer in India. Mohammad Rafi was one of the most popular playback singers of the Hindi film industry. He was known for his ability to mould his voice to the persona of the actor lip-synching the song on screen. ✔️Rafi has also demonstrated his skills as an actor in the movies Laila Majnu and Jugnu. And believe it, both the movies were financially successful. ✔️Altering his voice, yodelling and whistling in between songs were the style of Kishore Kumar. Once Rafi also tried to adopt that style for the movie Reporter Raju ( 1962) — Rafi sung for the character of Firoz Khan. ✔️ Who knows that Mohammed Rafi’s nickname was Pheeko(feeko)!! ✔️Mohammed Rafi’s first public performance came at the age of 13, when he was allowed to sing at a concert featuring the legendary K. L. Saigal. ✔️In 1948, Rafi sang Sun Suno Aye Duniya Walon Bapuji Ki Amar Kahani, written by Rajendra Krishan, which became a huge hit. He was invited by the Indian Prime Minister, Jawaharlal Nehru, to sing at the latter’s house. ✔️Rafi has also sung for Kishore Kumar. Rafi’s voice was used for the characters played by Kishore Kumar, who has proven his expertise as an actor too, in the movies Shararat (1956) and Ragini (1958). ✔️The glory of singing in maximum number of languages by an Indian play back singer goes to Mohammed Rafi. With his charming voice, he has sung in 14 Indian languages and 4 foreign languages! ✔️Mohammad Rafi was kind and compassionate to his fellow beings. He has given an amount of 88,000 to charity just before his death. 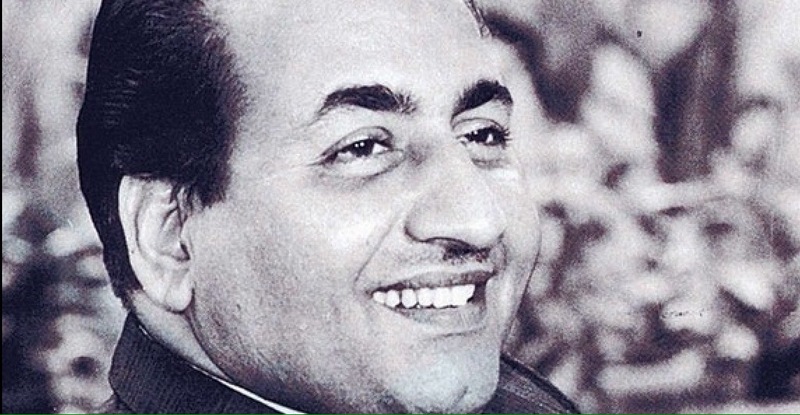 ✔️Two days National holiday was declared by the Central Government to mourn Mohammed Rafi’s death.